The Duhallow Suite doubles as our Television studio on big match days. 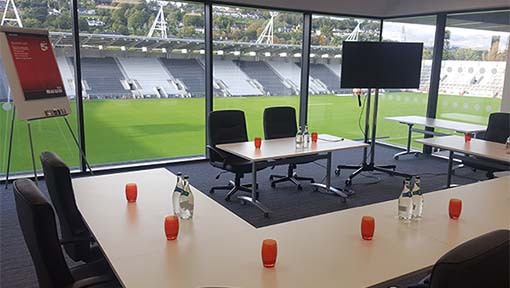 With its floor to ceiling windows, impress your guests with panoramic views of the Stadium and Montenotte as your backdrop. It is an ideal room for exclusive dinners and meetings. 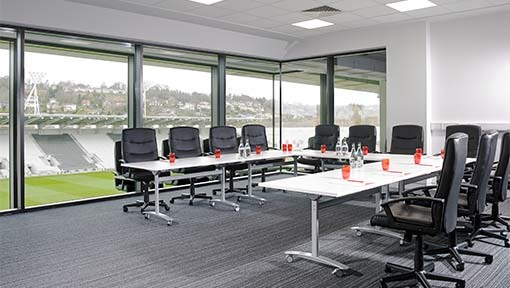 The Duhallow is suitable for up to 45 attendees and comes complete with complimentary high speed WiFi and HD LED smart television.